Over the next few days, I will be sharing some party printables that I created for my Birthday Party for Jesus that I will be having at my house. 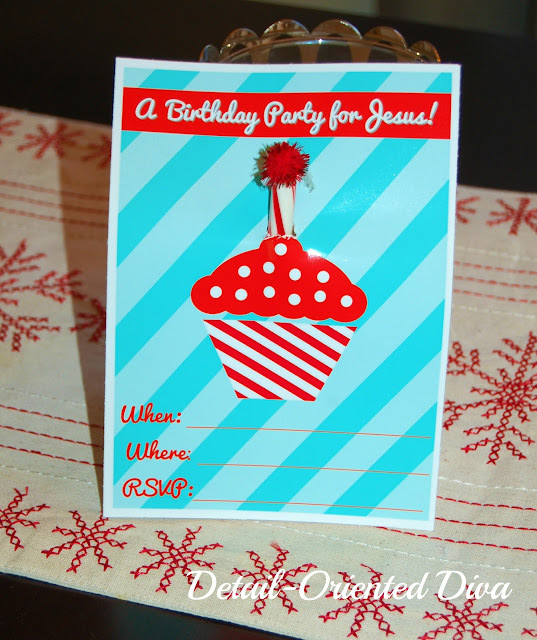 First up are the party invites. 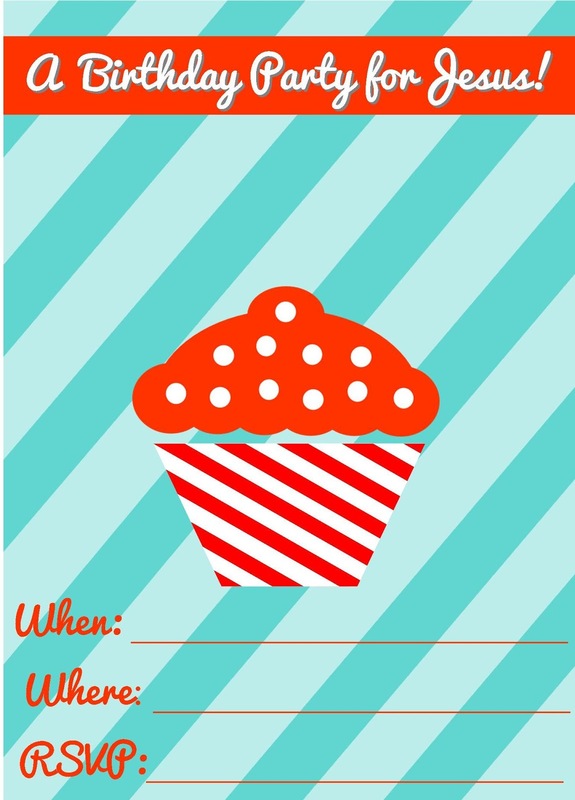 I created these invites to look like little cupcakes with candles on top. To make yours, just download the printable, print, and cut a hole at the top of the cupcake. Next, insert your candy cane through the back and tape in place. I used a regular candy cane and just left the hook part near the bottom. It might take a little bit of work to get it in there just right. Once your candy cane is perfect, just tape or hot glue a little pom on top for your flame. Free-printable link for blog subscribers at the bottom of this picture. Personal-use only please. Thank you for sharing this!! I love this so much! Our son's Sabbath School teacher throws Jesus a birthday party every year for the children in her class! So sweet!